When looking over my plant containers this spring I had these black containers that really were in need of something. 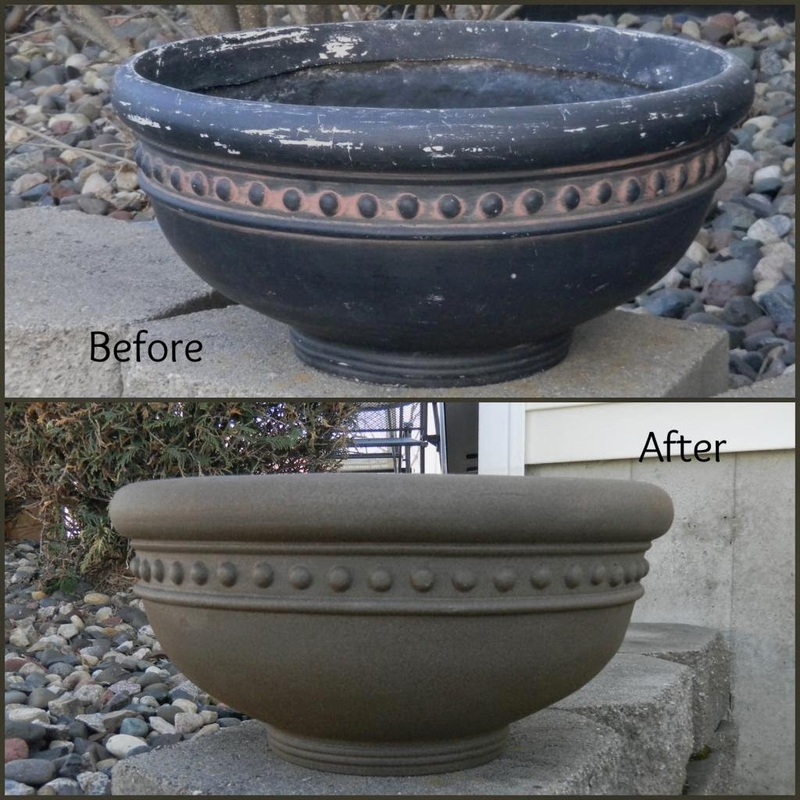 It was time to give them new life and I decided to try spray painting them with a Rust-Oleum Multicolor texture paint thats is made for outdoors. This was my first time using this type of paint and I am happy with the results. I really like the multicolors and it has soft texture to give it a much better look than a flat spray paint would have. There are some hungry rabbits around here that are always eating the flowers. Since these will be on the patio at perfect height for them, I chose these flowers in hope that they will leave them alone. Oh... the rabbits did nibble on the lobelia a bit at first but now have pretty much stayed away from the flowers. Now all it needs to do is grow some more and fill in.